New York City is legendary. 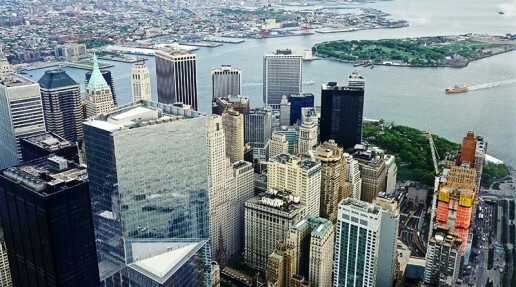 The city is known around the world for its culture, architecture, and history – all displayed in NYC’s famous landmarks. On our Classic Manhattan Helicopter Tour, our guests are able to experience New York’s most popular attractions in an unforgettable and immersive aerial experience they will never forget. 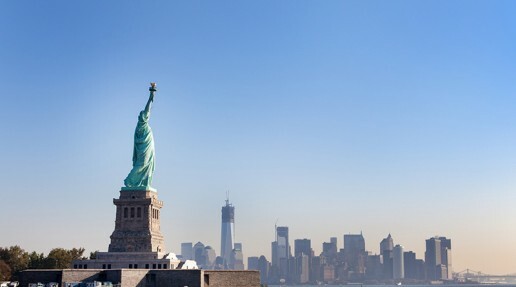 Lady Liberty stands proudly as the gatekeeper to New York City. For over 100 years, her lamp lit the way toward freedom and opportunity in the United States. Today, over four million people each year flock to New York City to admire her beautiful, historic stature. When immigrants arrived in New York in years past, they stopped to talk with customs and immigration at Ellis Island. Families waited nervously in line: hoping to pass their doctors’ examinations, shuffling paperwork, and waiting to be welcomed into the United States. 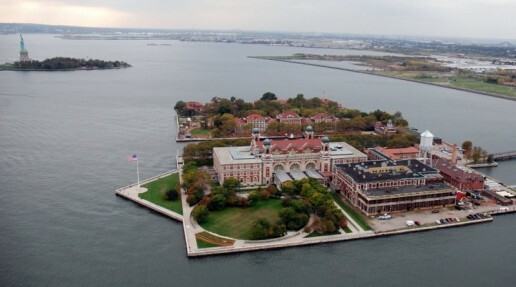 The buildings in which these families’ dreams were realized still stand on Ellis Island today – decades after its retirement as an immigration office. 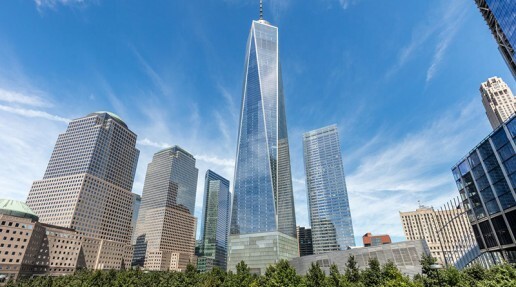 The One World Trade Center stands as the tallest building in the western hemisphere. Its gleaming windows and towering structure point to future years of hope, stability, and peace. 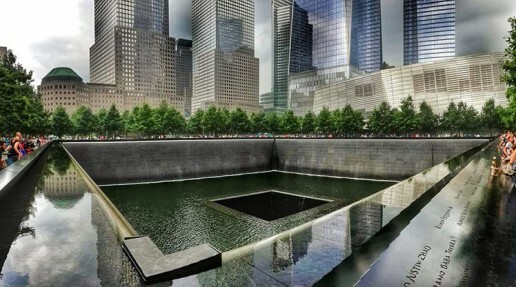 After the tragic events of 9/11, the twin towers’ original site became memorialized in a beautifully-landscaped park. Two serene pools mark the locations of the towers. Landscaped pathways, dotted with lush trees, surround the pools. The events of 9/11 can never be undone; nevertheless, this memorial ensures they are never forgotten. In the 1600s, when New York City was still a Dutch settlement, the southern tip of Manhattan became a military outpost defending the region. Today, the outpost has been turned into a historic 25-acre park. Home to the New York Stock Exchange, Wall Street, and the Federal Reserve Bank of New York, this area is headquarters for some of the top business decisions in the world. The Empire State Building, at its opening in 1931, was the tallest building in the world. It made appearances in Sleepless in Seattle, King Kong, and Independence Day. Today, it remains one of the Seven Wonders of the Modern World. 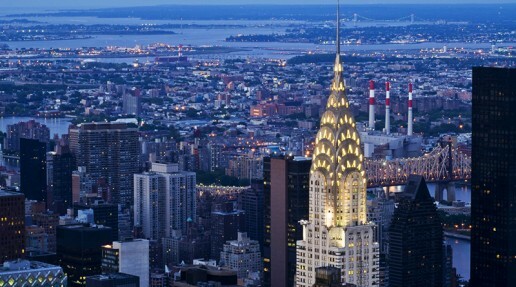 For a short time, the Chrysler building stood as the tallest building in the word – about a year after the Chrysler building’s completion, it was upstaged by the taller Empire State Building. Its iconic art deco style earned it a place on the list of America’s Favorite Architecture in 2007. 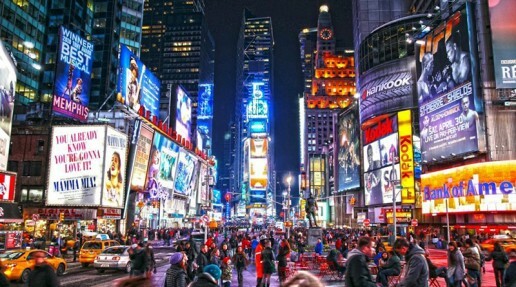 Known to some as the “heart of the world,” Time Square is unparalleled in shopping and entertainment opportunities. From Broadway to M&Ms World to sparkling lighted billboards and bustling streets, Times Square is the glistening jewel of New York City. 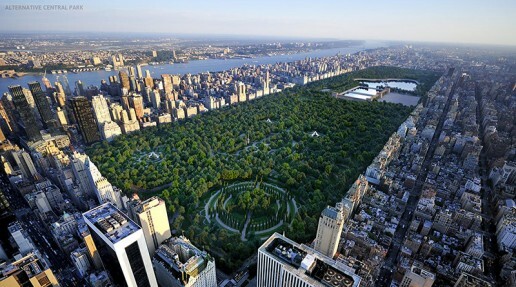 This National Historic Landmark spans over 800 acres in the heart of Manhattan. The grounds offer a serene oasis to New York’s busy professionals. Park planners sprinkled lakes and ponds throughout, and evidence of past eras’ glaciers can be easily seen. Where do great battleships go to retire? Many return to the U.S.S. 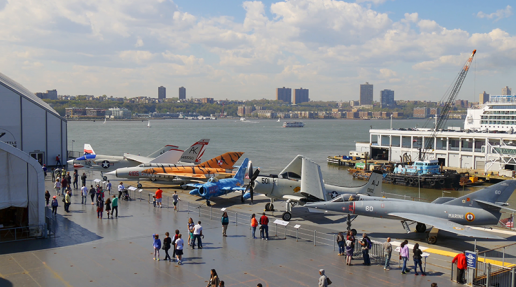 Intrepid Sea, Air, and Space Museum. This museum displays legendary sea, air, and spacecraft. In the past, exhibits included the record-breaking British Airways Concorde, historic Grumman F-11 Tiger, and legendary USS Growler. Recently, the Space Shuttle Enterprise joined the museum’s collection. New York City is home to many significant landmarks. 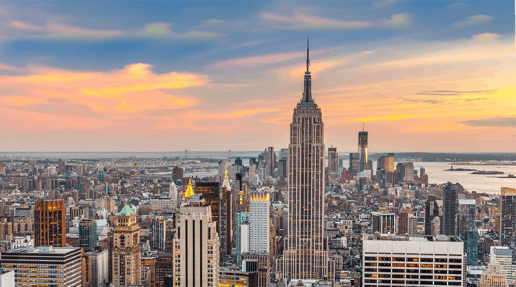 If you’re visiting New York City, your trip isn’t complete until you’ve marveled at the majestic Empire State Building, quietly paid tribute at the 9/11 memorial, or admired the Statue of Liberty. 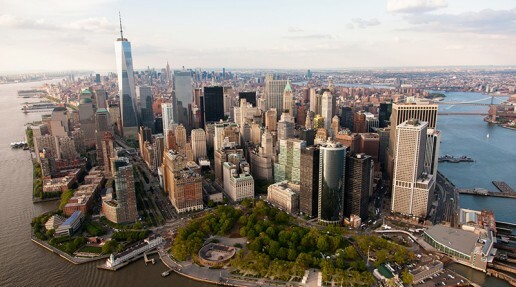 Book a Classic Manhattan Helicopter Tour to explore New York in style and admire all this city has to offer from the friendly skies above.